We begin the nine-day festival of Chaitra Navratri from April 6 to April 14, 2019. 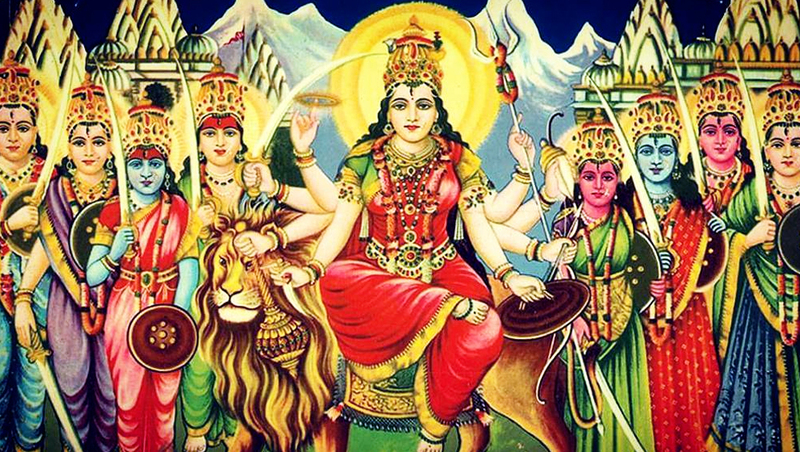 The word "Navratri" means ‘Nine Nights’ and is about celebrating the feminine divine power – Maa Shakti. Goddess Durga is the principal deity of this colourful festival widely celebrated across the Indian subcontinent. Durga, the embodiment of divine motherhood and feminine power is widely worshipped all over the country. Devotees bow down to the idol of Goddess Durga, pray in front of Maa Durga photos during Navratri. 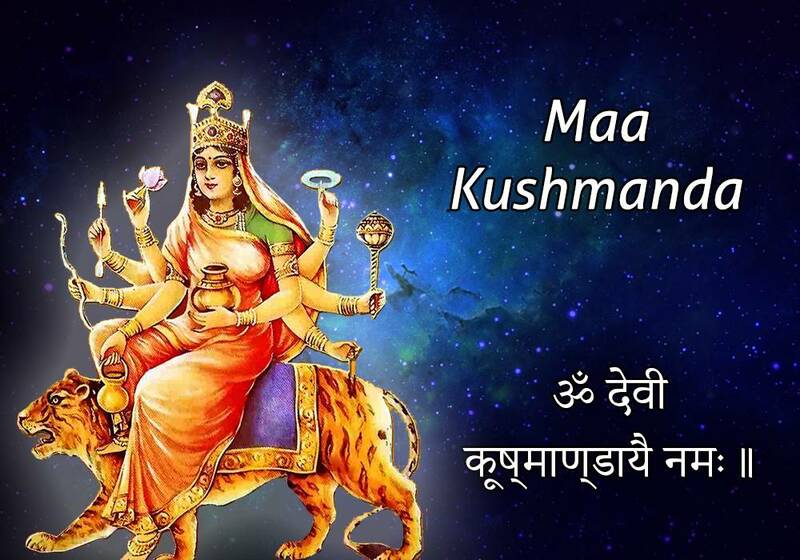 While exchanging messages, greetings during a festival is a norm, people also search for Maa Durga images and wallpapers to worship during Chaitra Navratri. 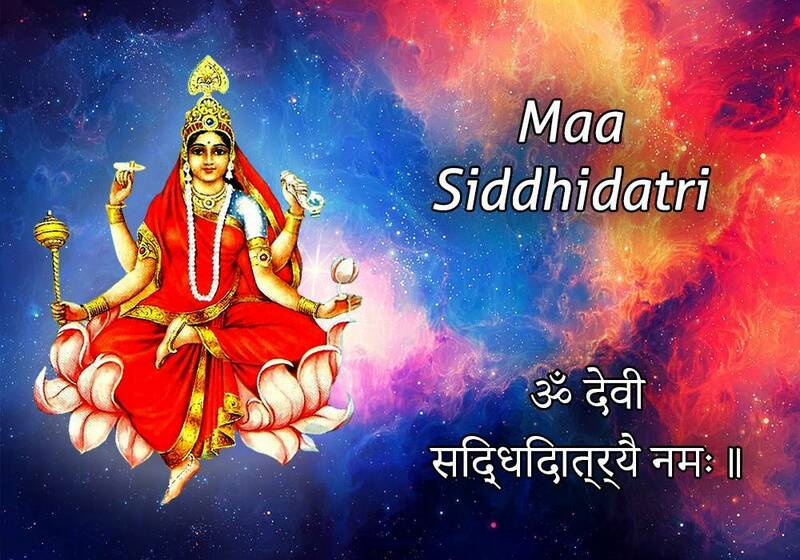 That's why we bring to you a vast collection of Devi Ji wallpapers, Chaitra Navratri images, Maa Durga HD photos, Navadurga pictures, Happy Navratri wallpapers, WhatsApp Stickers, GIF greeting messages, Maa Durga images for Chaitra Navratri and more to celebrated a Happy Chaitra Navratri 2019. 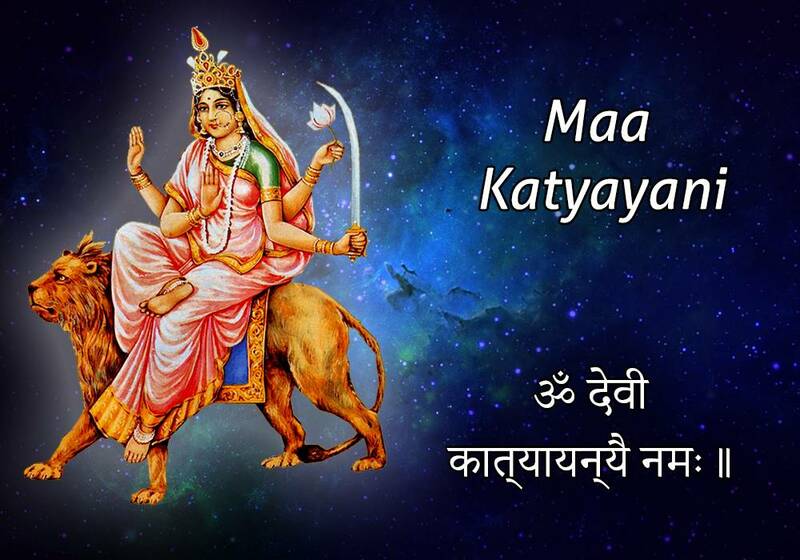 Chaitra Navratri 2019 Full Dates & Hindu Calendar: Ghatasthapana Puja Shubh Muhurat Time & Significance of Nine-Day Navaratri Festival. The nine-day festival witnesses a day dedicated to the nine manifestations or forms of Goddess Durga (Goddess Parvati). 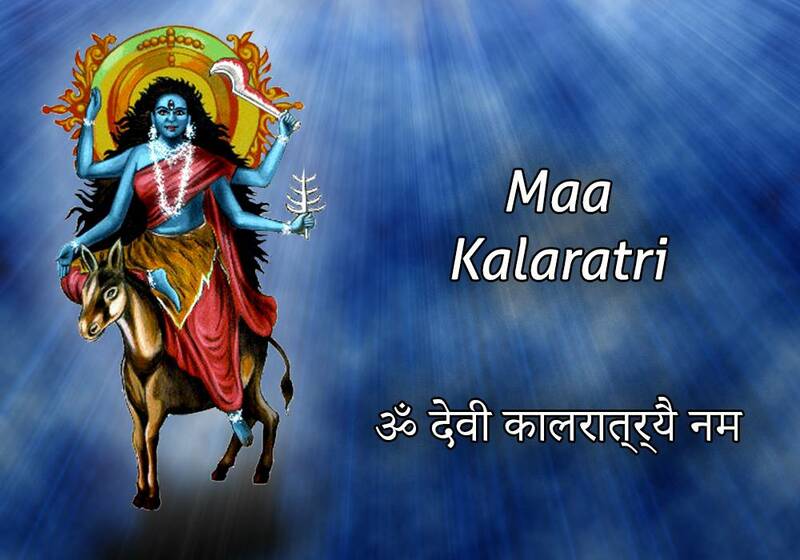 This year, Chaitra Navratri that takes place after Holi will begin with Shailputri Puja on April 6 and followed by worshipping Goddess Brahmacharini, Goddess Chandraghanta, Goddess Kushmanda, Goddess Skandamata, Goddess Katyayani, Goddess Kaalratri, Goddess Mahagauri and Goddess Siddhidhatri in the coming days till April 14. One of the biggest Hindu festivals, Rama Navami celebrating the birth anniversary of Lord Rama, the seventh avatar of Lord Vishnu also falls on Navami tithi of Chaitra Navratri. 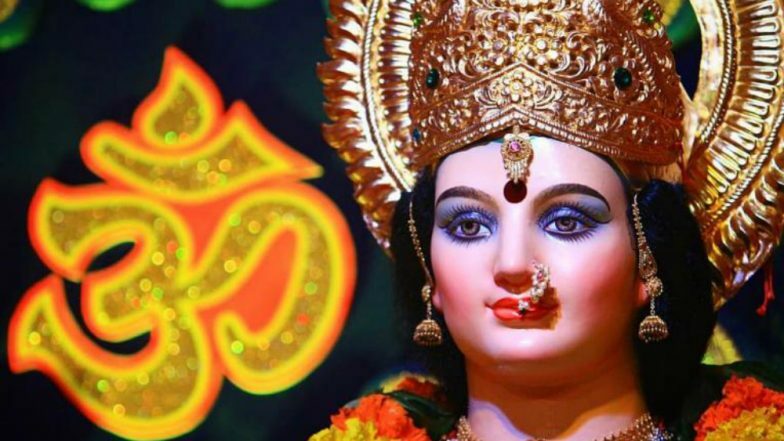 April 2019 Festivals, Events and Holiday Calendar: Chaitra Navratri to Gudi Padwa to Rama Navami, Know All Important Dates and List of Hindu Fasts for the Month. 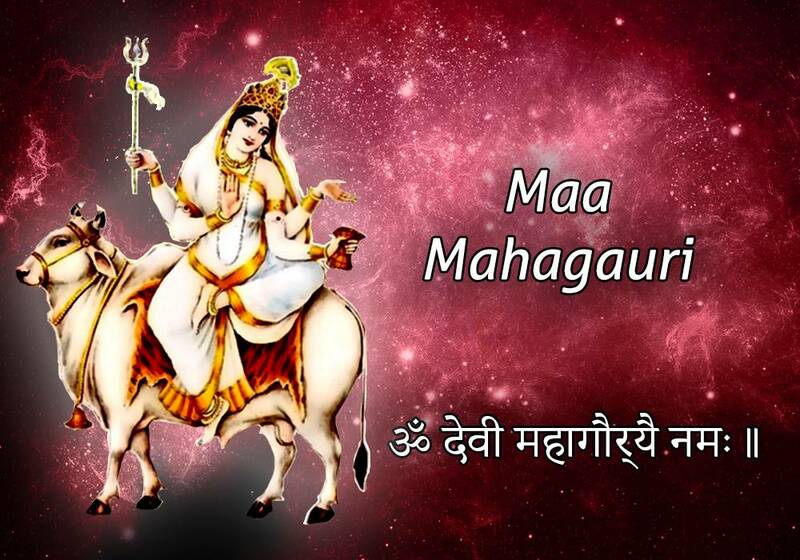 Goddess Durga or Maa Parvati is referred to as the mother god. She is powerful, mighty but also loving and kind. She is Adi Shakti and consort of Mahadev, Lord Shiva. 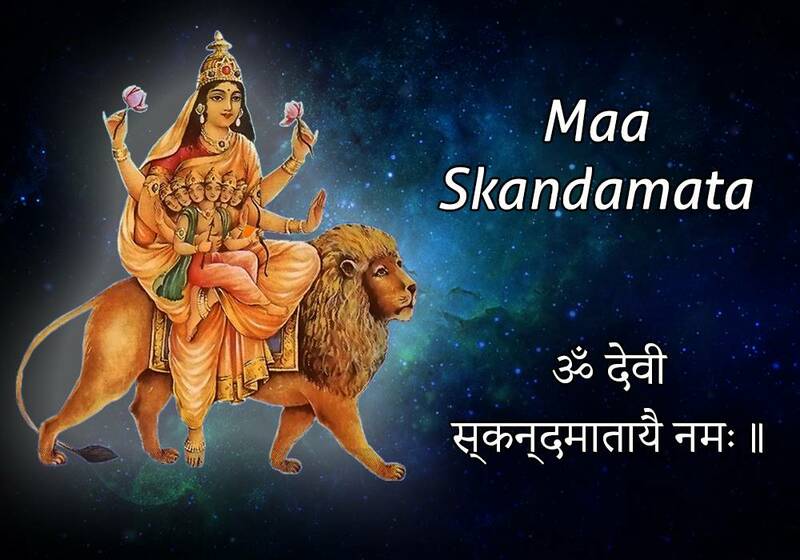 Devotees, be it mortals or gods himself pray to Maa Shakti in grim situations. A devotee praying to Durga with a pure heart can not only seek their desired boons but also get rid of their past sins. Navratri is that time of the year when worshippers pray to Goddess Durga and her forms for her divine blessings. Some of the common practices during Navratri are observing fast for nine days, chanting Maa Durga mantra, singing devotional songs, conducting Kanya Bhojan or Kanjak Poojan among many others. One common new-age ritual is sending greetings and blessings online. In this time and age, when everyone’s so busy, festivals and important events are good way to remain in touch. No wonder, the search for new Navratri messages and beautiful WhatsApp stickers are so high lately. 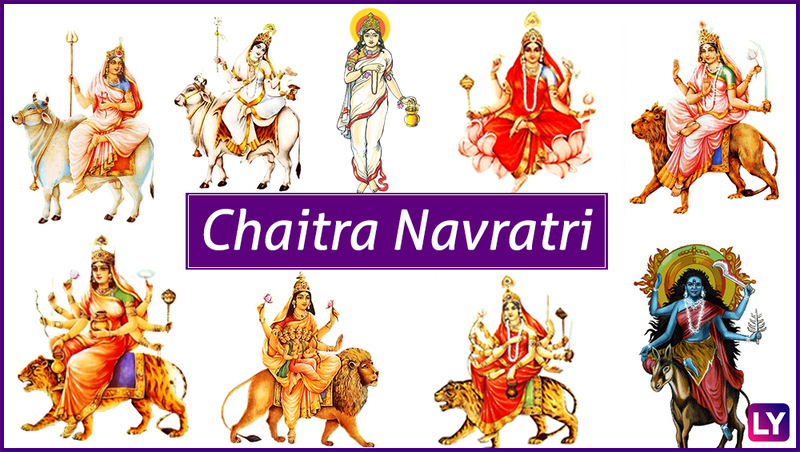 Some of the most-searched keywords are - Navratri date 2019, Navratri 2019 April date, Navratri 2019 start date, Navratri images, Navratri images full HD, Navratri images wallpapers, Navratri images for WhatsApp, Chaitra Navratri prarambh, Chaitra Navratri images download, Navratri GIFs, Chaitra Navratri greetings, Chaitra Navratri wishes, Chaitra Navratri wishes in Hindi, Chaitra Navratri wishes in English, Chaitra Navratri wishes SMS, and more. You will get all of it below. WhatsApp Message Reads: May the Candle Light, Flame Your Life, May You Always Be Happy and Victorious, May the Sunshine Create Glorious Mornings, May All Your Darkness Fly Away, Wishing U Happy Chaitra Navratri! 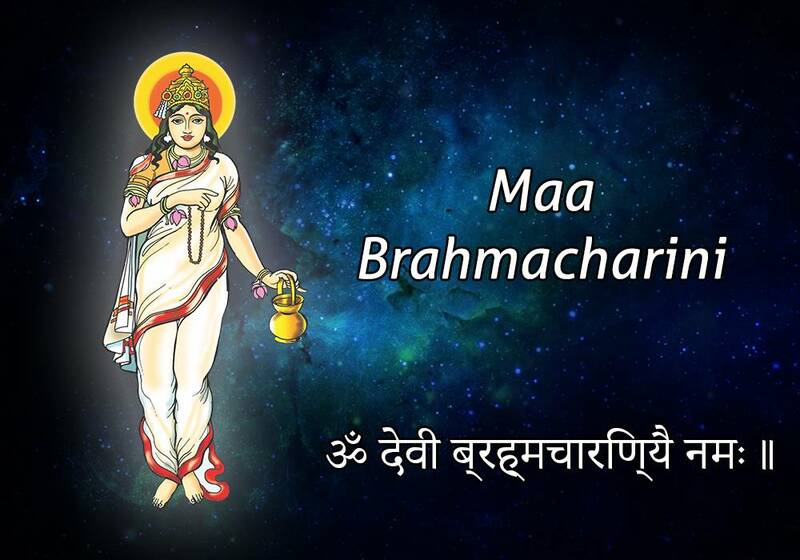 WhatsApp Message Reads: May Goddess Shakti Be Your Guiding Light and You Overcome All Your Life’s Challenges With Ease. Happy Chaitra Navratri. WhatsApp Message Reads: May the Choicest Blessings of Maa Durga Bring Happiness, Peace, and Harmony to Your Life. 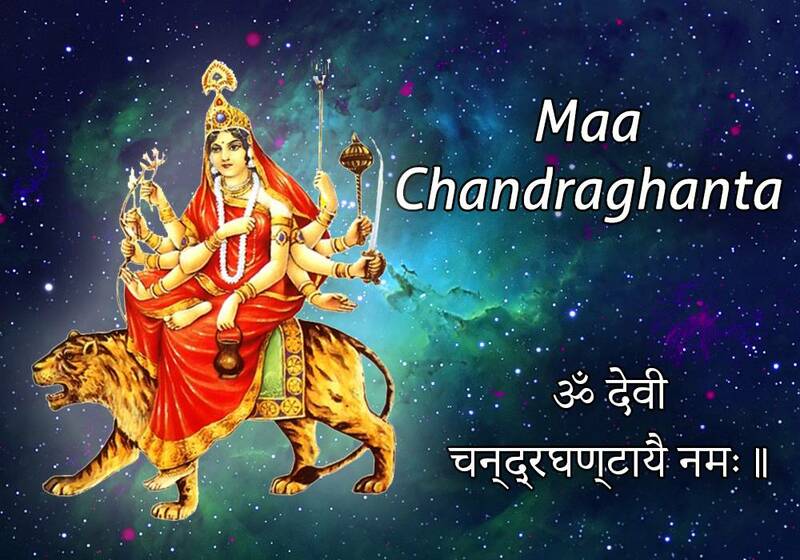 Happy Chaitra Navratri! WhatsApp Message Reads: May the Blessings of Maa Ambe Always Stay With You and Your Family and Help You Celebrate a Glorious Navratri! Shubh Chaitra Navratri! WhatsApp Message Reads: Fortunate Is the One Who Has Learned to Admire, but Not to Envy. Good Wishes to You and Your Loved Ones for a Joyous Chaitra Navratri! WhatsApp Message Reads: Life Has Ups and Down, Some Days Might Be Rough, but Maa Durga Will Give You the Courage, and the Ability to Be Tough. Have a Happy Chaitra Navratri! WhatsApp Message Reads: Maa Bharti Jholi Khali! Maa Ambe Vaishno Wali! Maa Sankat Harne Wali! Maa Vipda Mitane Wali! Maa Ke Sabhi Bhakto Ko Navratra Ki Shubh Kamnayen! WhatsApp Message Reads: May Goddess Shakti Keep You on the Blessed Path of Kindness, Forgiveness, Courage, Hard Work Happy Chaitra Navratri to You and Your Family. WhatsApp Message Reads: May the 9 Avatars of Maa Durga Bless You With 9 Qualities – Power, Happiness, Humanity, Peace, Knowledge, Devotion, Name, Fame and Health. 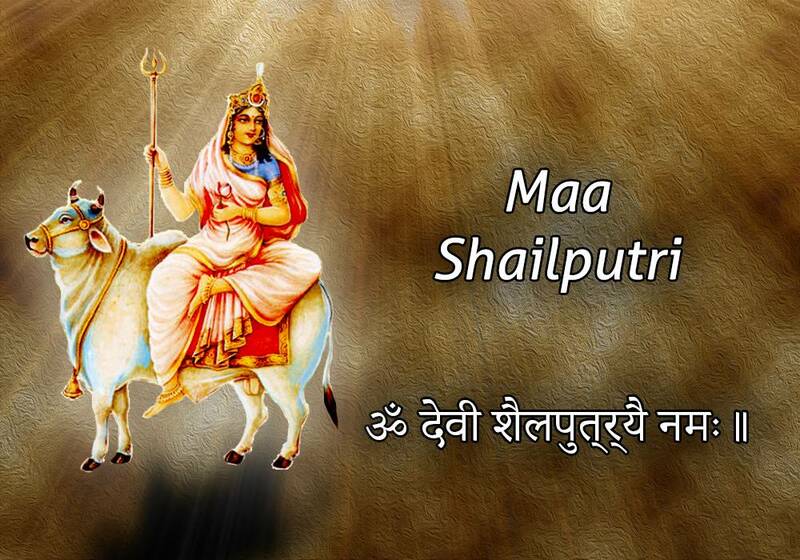 The nine forms of Maa Durga (Goddess Parvati) are Shailaputri, Brahmacharini, Chandraghanta, Kushmanda, Skandamata, Katyayani, Kaalratri, Mahagauri and Siddhidhatri. WhatsApp Message Reads: Wishing You Fantastic Nine Nights of Devotion, Spirituality, and Happiness. May Maa Shower Her Choicest Blessings Over You. Happy Navratri! WhatsApp Message Reads: Cherishing New Beginnings With the Arrival of Maa Durga at Home. Happy Chaitra Navratri! WhatsApp Message Reads: On This Auspicious Day of Navratri, My Greetings to You and Your Family, Happiness and Betterment at All Levels, For Today and All Time to Come, Success at the End of All Your Pursuits, In the Most Truthful Way. WhatsApp Message Reads: Nine Nights of Festivity With Dances and Revelry. May This Divine Occasion Bring Success to You and Embrace Victories Too. 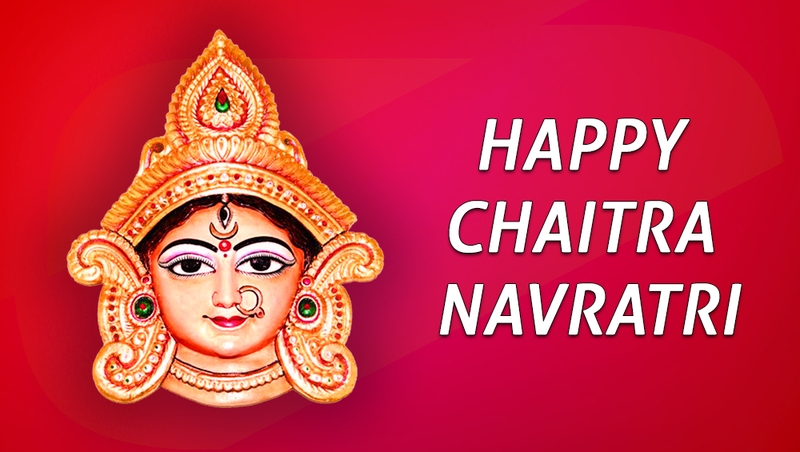 Have a Delightful Chaitra Navratri! It is going to be another year of devotion-filled nine days of non-stop celebrations. Apart from Goddess Durga and Lord Rama, several other deities are also revered during Chaitra Navratri such as Saraswati, Lakshmi, Ganesh, Kartikeya and Lord Shiva. During this nine period, several other festivals will also take place like Gudi Padwa, Ugadi, Navreh, Cheti Chand, Gangaur and more. 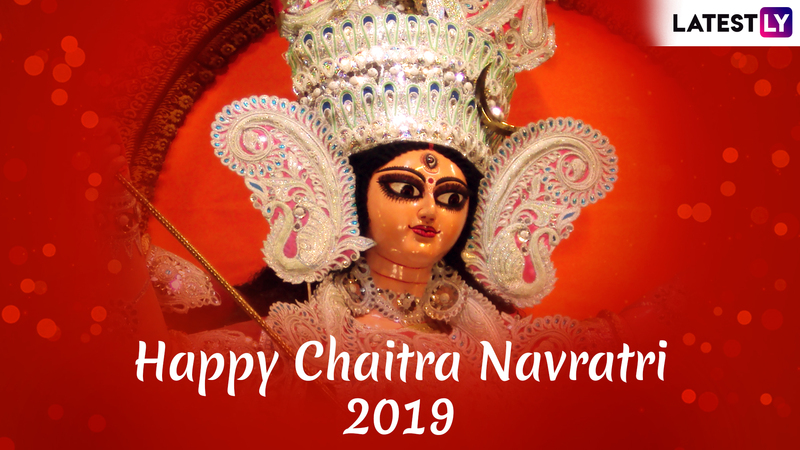 We wish all our readers a very Happy Chaitra Navratri 2019.